It’s been a while since my last blog, due, in part, to the number of fantastic events I’ve been lucky enough to attend of late. Not least of which was the 700th anniversary of Armagnac. Hosted in the luxurious surroundings of the Connaught Hotel, those of us able to evade the army of Mercedes and Bentleys whilst crossing the road were handsomely rewarded on arrival. The event started with a short lecture from Ian Wisniewski, who never ceases to amaze me (and everyone else present) with his encyclopaedic knowledge of Armagnac (and, ostensibly, any other category he sees fit to discuss). The inevitable comparisons with Cognac were drawn, but not in the ‘me too’ manner which you might expect. For today was Armagnac’s day to shine in its own right. 1 – His fantastically entertaining and informative lecture was obviously the result of many weeks of dedicated research. For me to simply cut and paste it here would be highly dubious. 2 – I couldn’t write quickly enough. The man is a machine! So, with Ian’s introduction well received, we were set loose on the tasting room. For the sake of brevity, (and because my tasting notes veered towards the undecipherable), I shall provide you with just my top three highlights, in no particular order. The Samalens Singles 12 year Grand Bas Armagnac was outstanding. Plenty of roasted, woody flavours brought prunes, fig and almonds to the palette, with a luxurious and light finish. 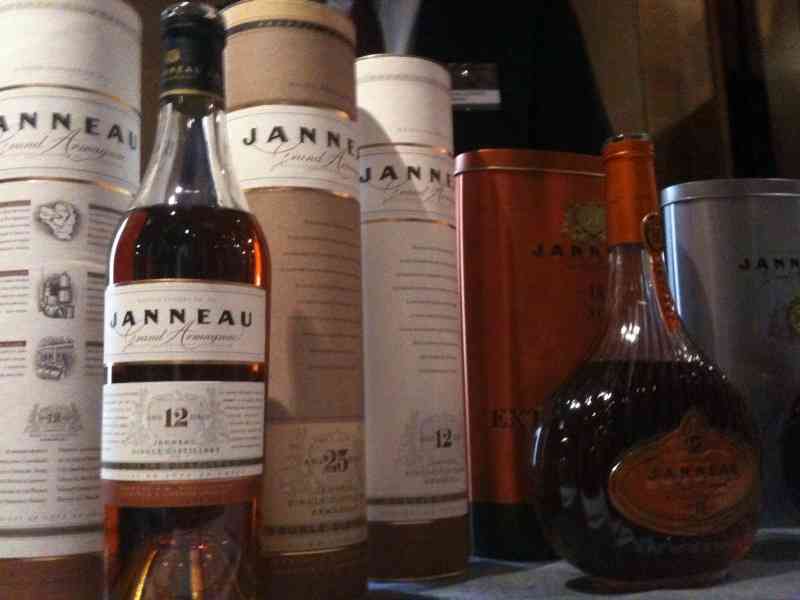 My biggest surprise of the day was courtesy of Janneau for their 12 year offering. Sweeter than I had anticipated, and delicate to boot. Dare I say, a more feminine take on the Armagnac style? 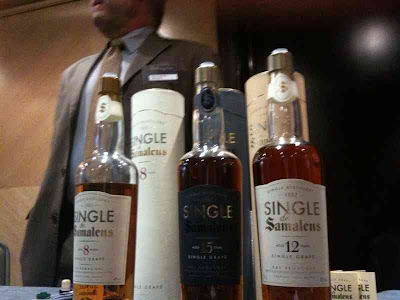 Certainly, something more akin to the Fins Bois cognacs style than the single distillery Armagnac it is. Moving up a notch in age took me to the Larressingle 21. Being a Tenereze Armagnc, I had expected a heavier, richer spirit. I had not expected, however, such luxurious richness. Certainly, it was a more full bodied spirit, but the power and balance of the developing rancio flavours left it perfectly proportioned. This Armagnac received a very rare 4.5/5 in my tasting booklet, and is something I will definitely be drinking again.